Last week I took a trip up North to pay my friends and family a visit. I met up with Abby and Shelley, my friends from art college, for cake and a catch up at The Olde Young Tea House. 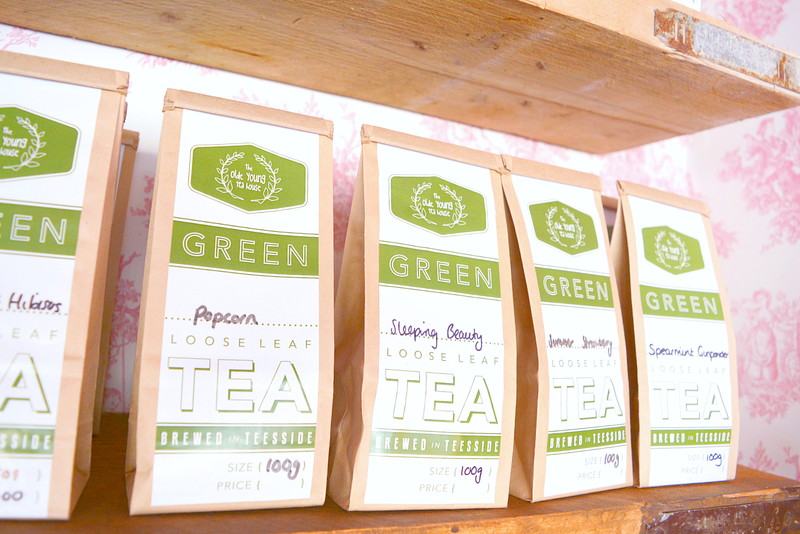 The Olde Young Tea House is a charming, local business offering home brewed teas in every flavour imaginable from Japanese sencha to China gunpowder, peach, ‘Sleeping Beauty’ and popcorn. 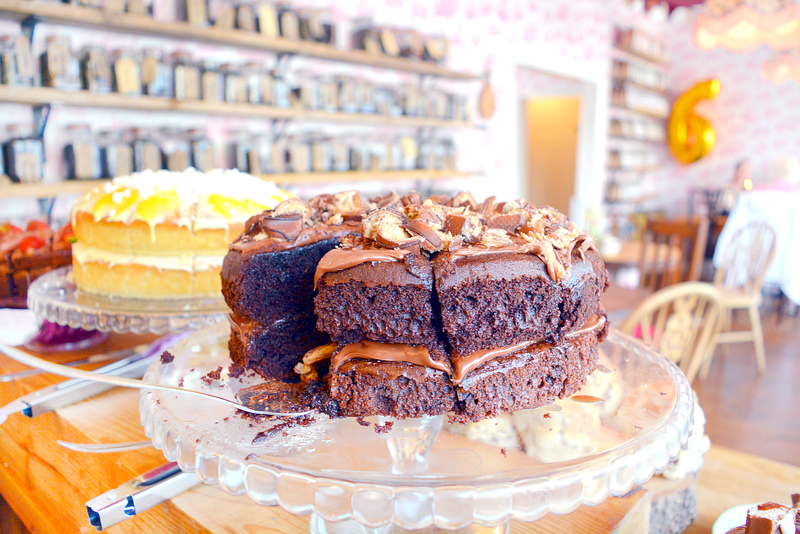 If you’re not much of a tea drinker, fear not because they serve up the most uh-mazing freshly baked cakes and goodies everyday. Past creations have included: strawberry milkshake cake, Wagon Wheel cake, vegan Biscoff cupcakes, Red Velvet rose water cake and gluten free morella cherry bakewell cake. 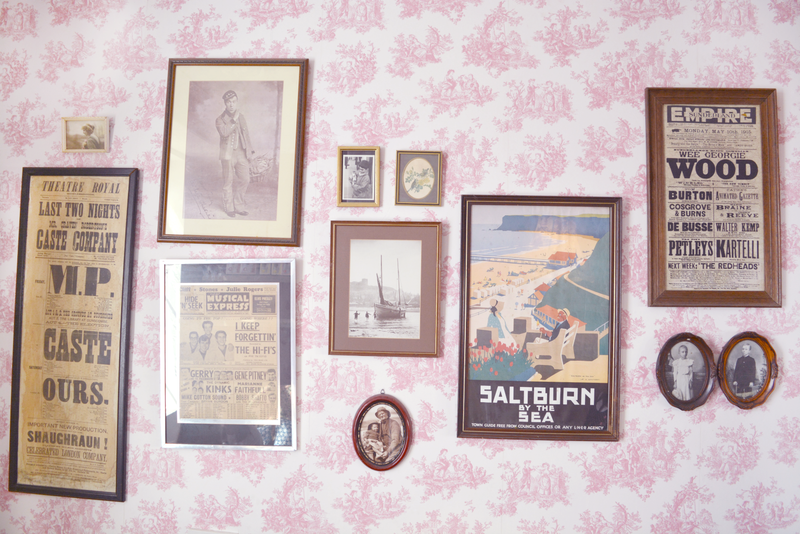 Inside the interior is every vintage girls’ dream with floral bunting hanging from the ceilings, pink toile wallpaper and shabby chic furnishings bringing the place to life. Every time I come back to Middlesbrough the tea house is always bigger and better, with #girlboss owner Carli and her adorable team of tea bees (which, until recently, included Megan from Thumbelina Lillie - how cool is that!?) going out of their way to deliver excellent service. 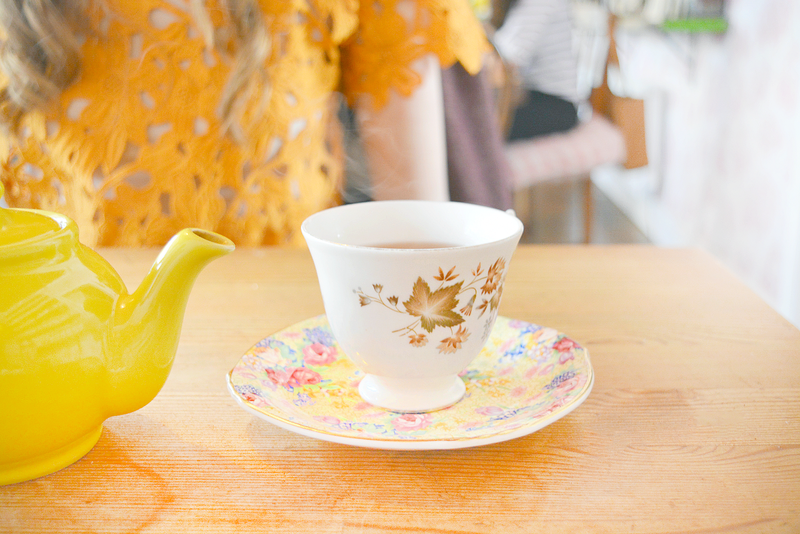 They even went as far as to match the colour of the tea pots with the flavour of tea, giving Abby a yellow pot for her lemon tea and Shelley, an orange pot for her mango black tea. 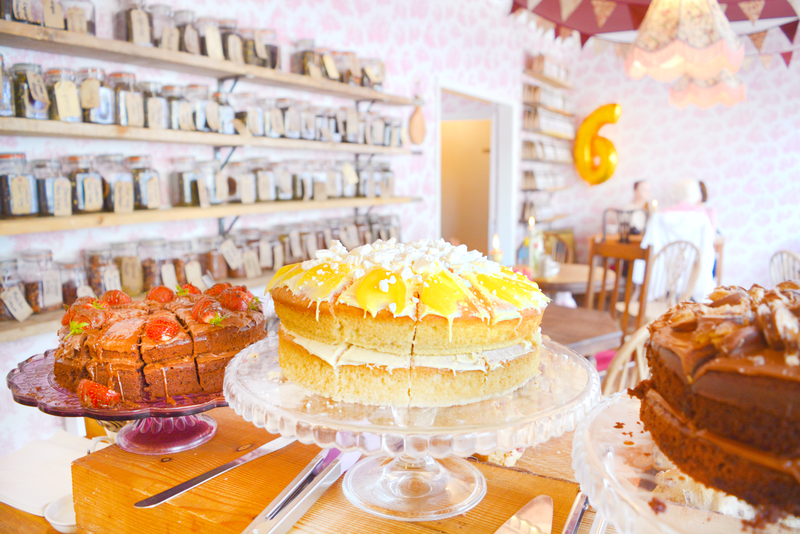 When we arrived we were treated to free brownies in celebration of the teahouse’s 6th birthday which of course we were delighted with - free cake is always a winner. Abby and Shelley also went for a slice of nutella cake topped with strawberries, whilst I opted for the Kinder Bueno cake, all of which got a big thumbs up from us. I hadn’t seen Shelley and Abby in ages, and it was so lovely to chat about old times. Art college was one of the best times of my life and that’s thanks in no small part to those two lovely ladies! What better way to spend an afternoon than in a pretty teahouse with good food and even better company? 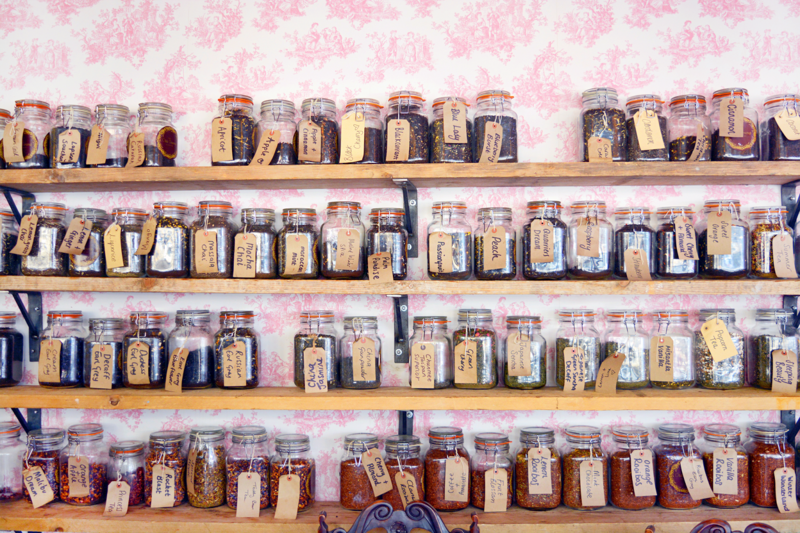 Next time you’re in Middlesbrough be sure to stop by The Olde Young Teahouse. What is your favourite flavour tea? I am so glad that you enjoyed your visit to The Olde Young Tea House, it is such a fabulous place. I miss working there very much! 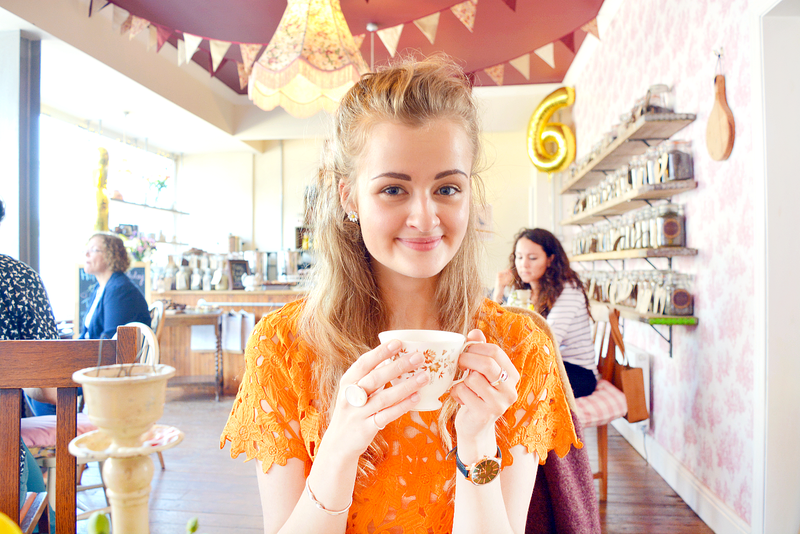 So happy you enjoyed your trip to Middlesbrough and visited our little gem of the Olde Young Tea House!